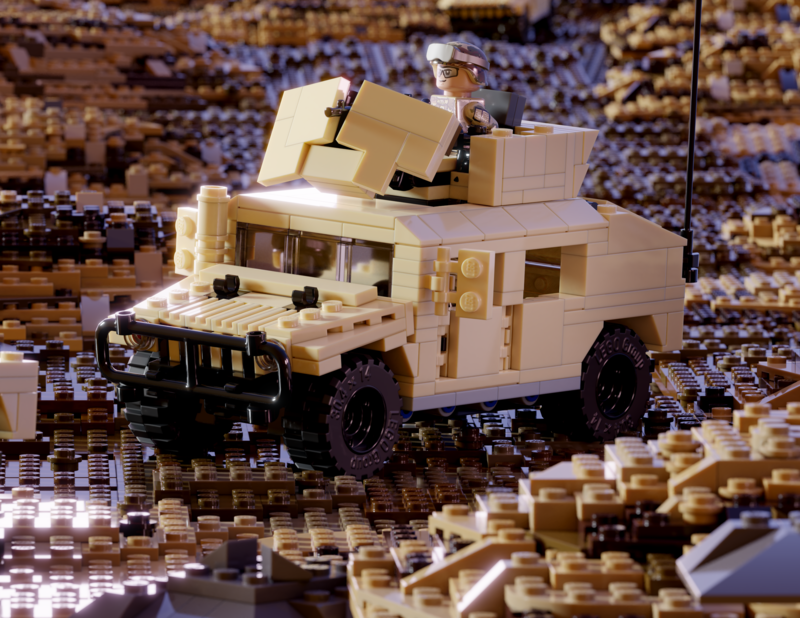 This add-on pack is designed to accompany the Brickmania M1025 MEU HMMWV kit. Add more protection and firepower to your M1025 MEU HMMWV with this Gunner Protection Kit (GPK) add-on pack! This pack includes the elements and weaponry to update the rotating gun turret on top of the M1025. The additional armor protects the gunner from enemy fire while providing infantry support with the M240B machine gun.